Rustic but refined, laid back but efficient, a little quirky sometimes. Longueville House is a stunning 300 year old listed Georgian Country House hidden in the heart of a 450 acre wooded estate, in the Blackwater Valley. Half an hour from Cork City, steeped in history and packed with character, it is privately owned and run as a four star country house hotel and restaurant, and available for exclusive rental. A home-from-home, classic but informal, where open log fires crackle in vintage hearths and intriguing heirlooms jostle with fresh flowers from the gardens. For the gourmand, a field to fork ethos ensures the seasonal food produced within Longueville is lovingly prepared from scratch, and cooked to order. There are two whimsical private dining areas available in addition to the main restaurant and the exceptional 19th century conservatory. 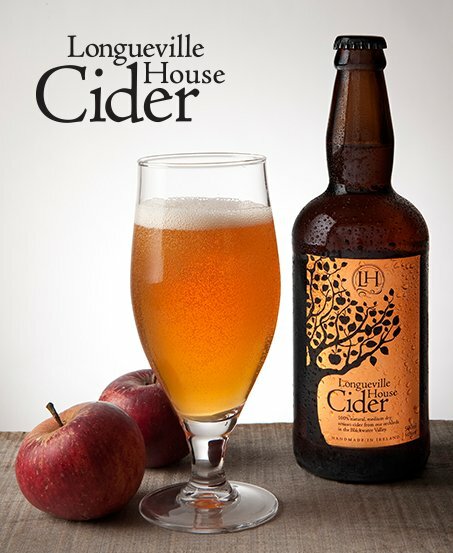 There is even a craft cider named after the estate, and fermented on site from apples harvested in the 30 acre orchard. 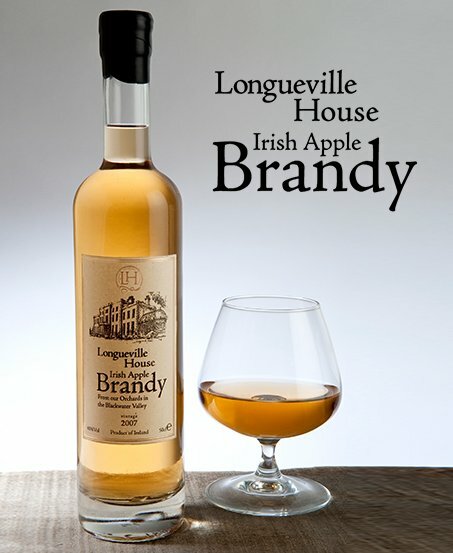 Some of the cider is distilled on in the calvados style, to become Longueville House Apple Brandy. The 16 bedrooms all have ensuite bathrooms and there is free WiFi throughout the house. The delightful gardens are yours to amble, and tours of the distillery available for guests. A variety of activities can be arranged from exclusive Fly fishing on the Blackwater to Medieval Archery and Falconry. It’s a place of history, yet Longueville has moved with the times. Maintaining and modernising the house and grounds has been a labour of love for William and Aisling, your hosts. At the heart of Longueville House lies a field to fork ethos in the sourcing of food. Our menu relies substantially on home-grown and home-reared produce. Longueville House is open for dinner Wednesdays through Saturdays from 6:30pm until 8:30pm and for Sunday Lunch 12:30pm to 2pm. Reservations are essential. The O'Callaghan family and their team provide a highly personalized service and a working environment with no distractions. Optional on-site activities embellish the overall experience. Residential and daily delegates are accommodated. When you wed in Longueville our 450 acre estate provides unbeatable seclusion and intimacy for you and your guests. Wedding parties from 2 to 100 guests are warmly welcomed.